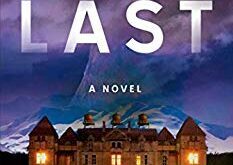 Set in Boston at the end of the First World War, New York Times best-selling author Dennis Lehane’s long-awaited eighth novel unflinchingly captures the political and social unrest of a nation caught at the crossroads between past and future. 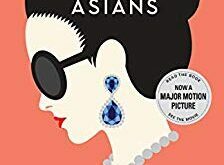 The Given Day tells the story of two families—one black, one white—swept up in a maelstrom of revolutionaries and anarchists, immigrants and ward bosses, Brahmins and ordinary citizens, all engaged in a battle for survival and power. Beat cop Danny Coughlin, the son of one of the city’s most beloved and powerful police captains, joins a burgeoning union movement and the hunt for violent radicals. Luther Laurence, on the run after a deadly confrontation with a crime boss in Tulsa, works for the Coughlin family and tries desperately to find his way home to his pregnant wife. Here, too, are some of the most influential figures of the era—Babe Ruth; Eugene O’Neill; leftist activist Jack Reed; NAACP founder W. E. B. DuBois; Mitchell Palmer, Woodrow Wilson’s ruthless Red-chasing attorney general; cunning Massachusetts governor Calvin Coolidge; and an ambitious young Department of Justice lawyer named John Hoover. 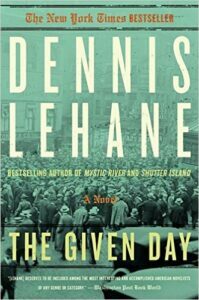 The Given Day by Dennis LeHane starts off like a racehorse released from the paddock and it never stops. Set in Boston at the tail end of World War One, The Given Day follows the lives of fictional characters Danny Coughlin and Luther Laurance, and the very real Babe Ruth. The story is thick with historical facts, the blanks filled in with fiction. At times, it was hard to tell what was real and what was just a figment of the author’s imagination. Lehane uses keen descriptions and it makes you feel as if you time-warped to Boston. It’s easy to see the poverty and smell the despair. You feel Danny’s eternal optimism fading. The end of World War One brought about the slow descent into the Great Depression and you can feel it coming like a tidal wave still off in the distance. The Given Day is an appropriate read given the current political climate: same situations, different players. I highly recommend this book. I deducted one star because I felt the use of the “F” word was a bit overdone and the term (n*gger) still never feels appropriate–even if it was appropriate back then. 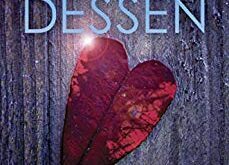 I give The Given Day a 4 out of 5 stars. 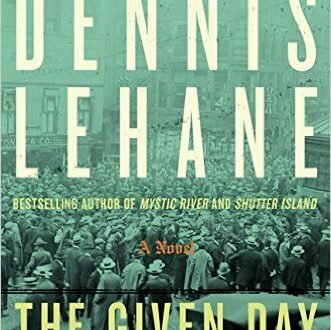 Pick up a copy of “The Given Day” by Dennis LeHane on Amazon or Barnes and Noble or at a bookstore near you.